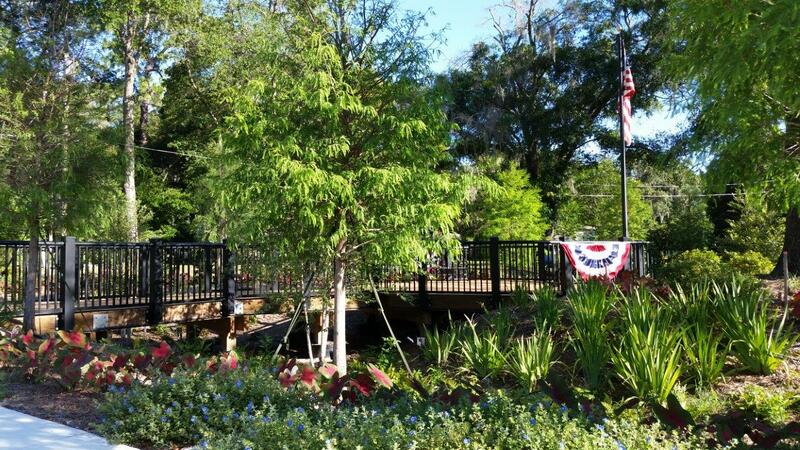 This 0.2 acre park serves as a beautifully landscaped, peaceful tribute to all veterans who have served our country. Located at the intersection of Triplet Lake Drive and Sunset Drive, the main focus of Veterans Park is the lighted flag pole. Veterans Park was recently completely reconstructed and enhanced with the Triplet Lake Drive Signature Street Project. It now features a raised boardwalk over a rain garden, a patriotic red-white-blue landscape scheme, a new monument sign, and both bicycle and car parking. Intersection of Triplet Lake Dr. and Sunset Dr.